According to the UN, food production will have to increase by 70% to feed an additional 2.3 billion people by 2050. Although Australia is in a good position to capitalise on the expected demand, Manager Agribusiness Initiatives in Primary Industries and Regions SA (PIRSA) Ben Fee says farmers need to make sure they understand their business so they can get the most benefit out of it. Provide an update on the 17/18 Seasonal outlook and the industry and other factors that may have an impact on the market. The workshop in Loxton had 48 attendees increase their knowledge on water market features, licences and market characteristics. 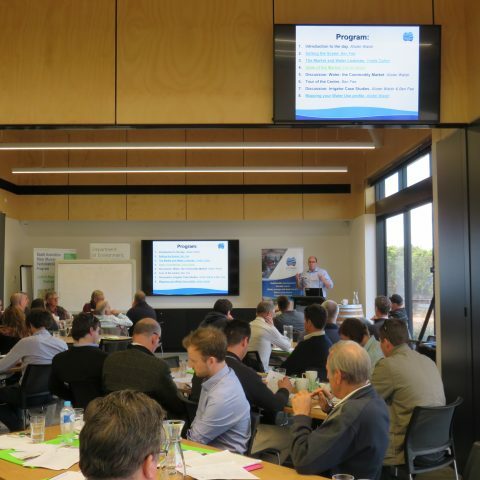 More workshops are in development to be held later this year in Murray Bridge and the south-east region of South Australia. 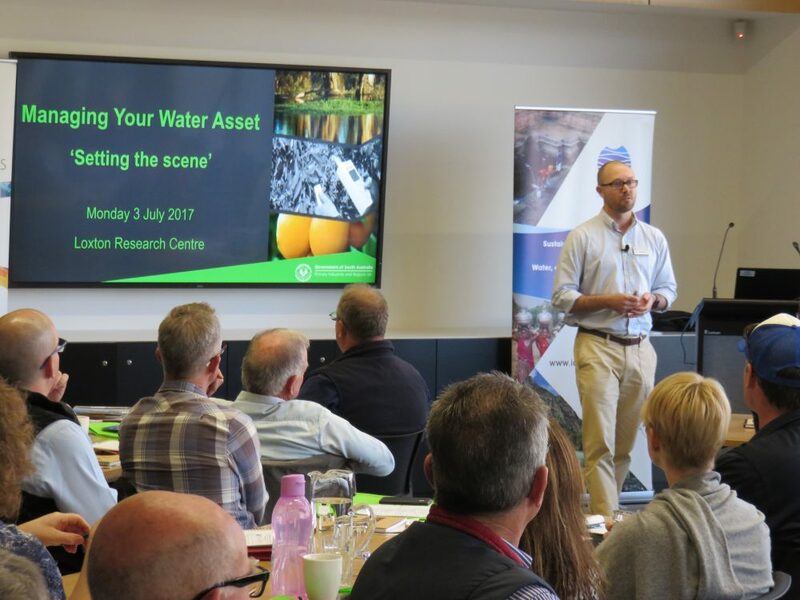 Ben says that with some of the water challenges raised over the past decade or so, no matter how much your farm produces, if you’re not making a profit it can have a big effect on your farm. Recordings of sessions from the workshop are available here. Ben Fee’s interview with Stacey Lymbery from ABC Radio Riverland, 4th July 2017, available here.